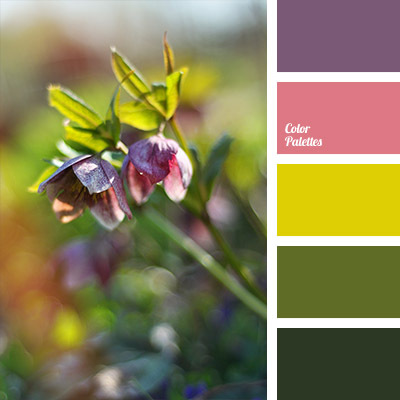 Soft palette of natural colors reminds of spring. 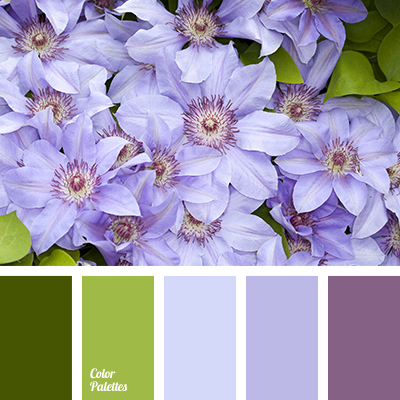 Lavender, light violet and rich dark green in combination with blue-gray refresh, give strength and energy. 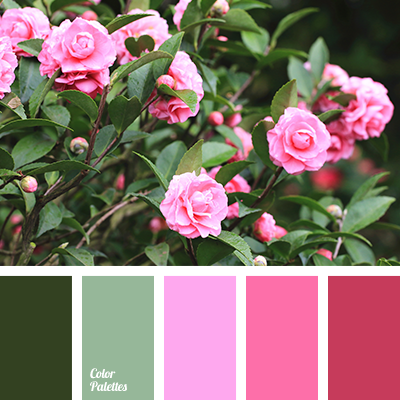 These colors are good for decoration of a kitchen or living room in a house, where young, active people live. 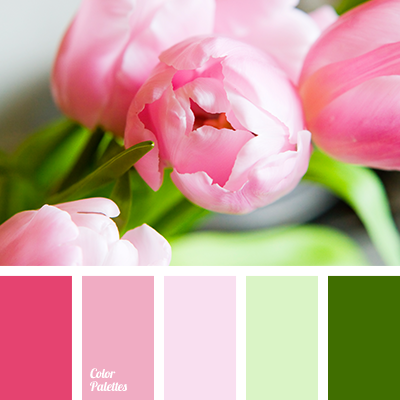 Wardrobe that is compiled on a basis of this colors will fit a stylish girl. 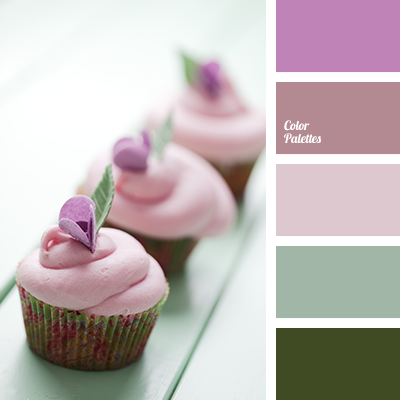 "dusty" green, "dusty" lilac, "dusty" pink, brown-pink, color of cupcakes, dark green, dark green color, gentle pink, lilac, marsh green, pastel pink, shades of green, shades of pink.